Your Hamilton motel accommodation at Aaron Court will have you in the centre of the city within a flash. For accommodation for couples, families and corporate travelers, we have something for everyone, in a convenient Hamilton location. 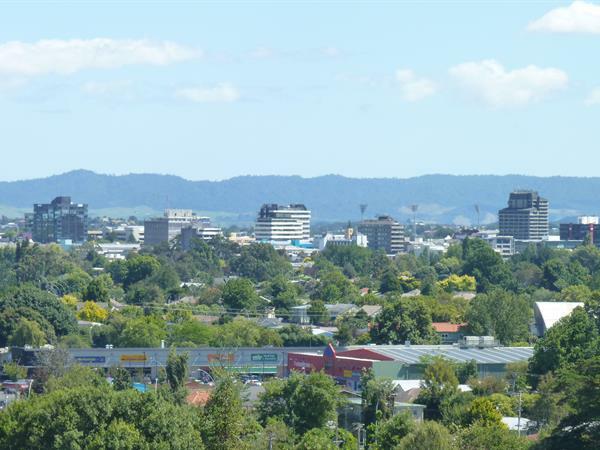 Hamilton is New Zealand’s largest inland city, with a population of around 131,000 people. Kirikiriroa (meaning long stretch of gravel) is the city's Maori name. Hamilton is a university city and has a youthful population. Around half of the residents are under 30 years old. The city’s beautiful location by the Waikato River has been the main focus since the beginning. Set along the banks of New Zealand’s longest river, Hamilton has become a major agricultural, educational and entertainment centre. Hamilton Airport, located just 15 km south of the CBD, allows stress free air travel to major destinations in New Zealand and several overseas destinations as well. The Waikato University, Hamilton Gardens, the city centre’s attractions, agricultural research and Hamilton’s peaceful location in the heart of the Waikato, make it a popular destination for visitors and those seeking a quality lifestyle. The temperate climate, lush rural surroundings, variety of sporting activities and balanced lifestyle offer visitors a laid back, relaxing break. Click here for the Hamilton City Council website.